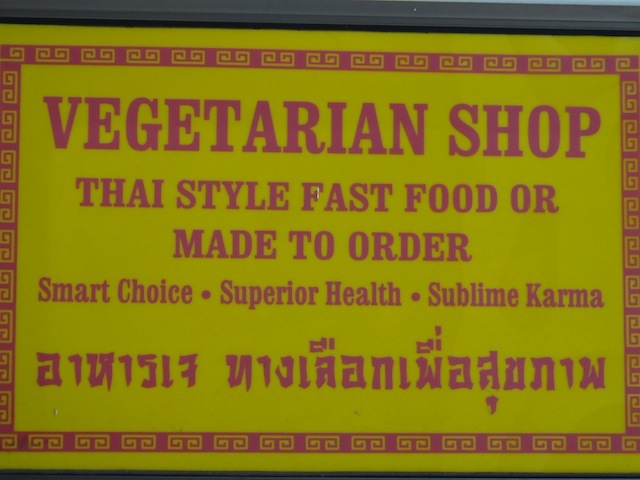 I discovered some great veggie food restaurants in Phuket. All you have to do is: go to main market area on Ranong Road, walk about 100 yards or so. These are exact opposite of a Buddhist temple, hard to miss. This entry was posted in Explore The World on May 26, 2017 by admin. Aerial view of Phuket: My flight from Kualalumpur to Phuket was almost half empty. I couldn’t help but being glued to the window of the plane. 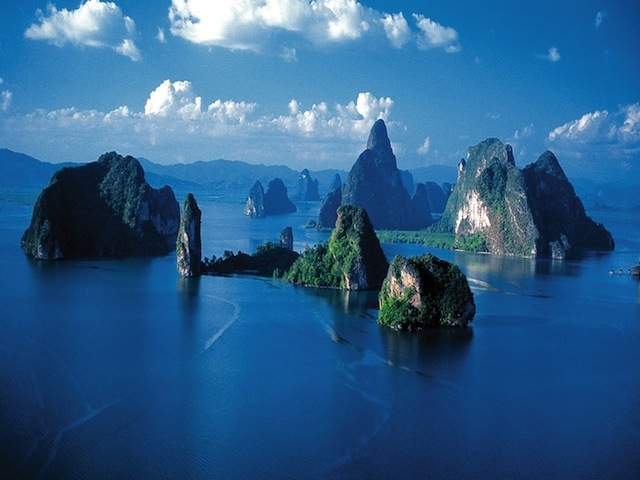 The aerial view was breath taking, felt like I was being transported to a different planet…imagine almost 15 mins of live display of hundreds of these limestone formations dotting the blue sea. 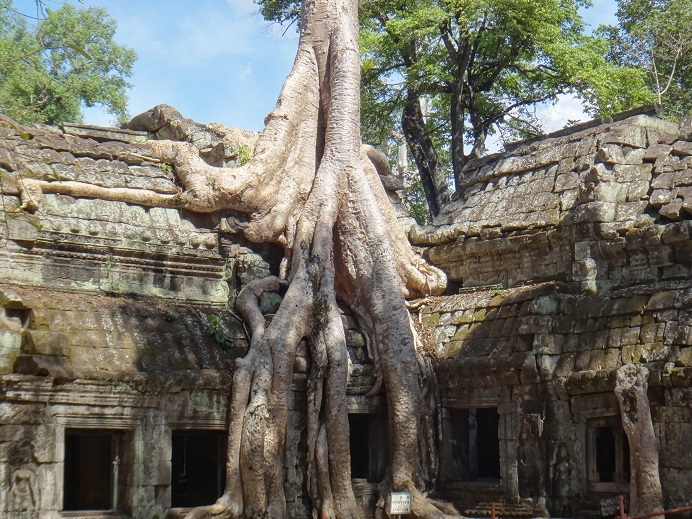 Cambodian tourism got a major push after Tomb Raider movie was shot at Ta Prohm. I’m sure many of you will be familiar with these pictures. 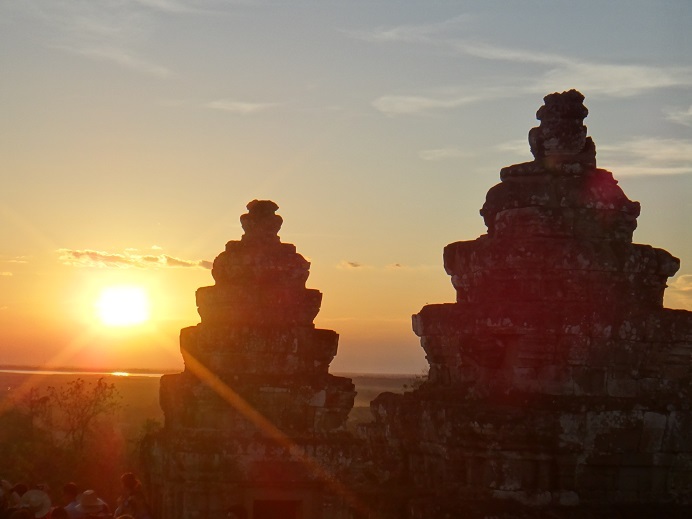 Apart from Angkor Wat, Ta Prohm and Bayon are the most visited temples in Siem Reap. I was very impressed with Ta Prohm, the sight is really unique. This entry was posted in Explore The World and tagged Angkor Wat, Architecture, Asia, Bayon, Buddhism, Cambodia, Culture, Hinduism, History, Photography, Siem Reap, Ta Prohm, Travel on November 15, 2013 by admin. I don’t think B&W pics require any explanation but I was able to capture some of the most desired shots/moments in B&W. 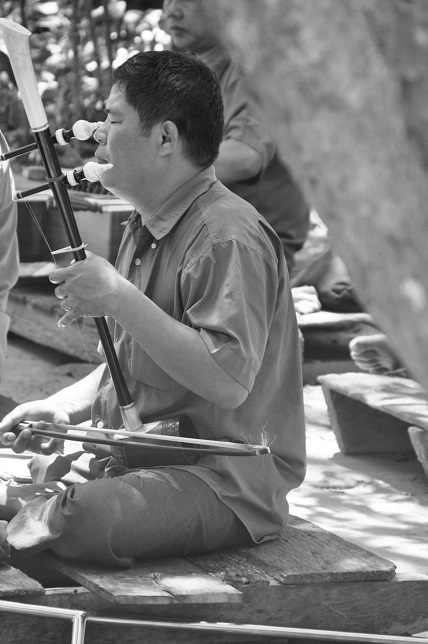 There were few musicians playing but this gentleman was totally immersed in the joy of Music. This entry was posted in Explore The World and tagged Angkor Wat, Architecture, Asia, Buddhism, Cambodia, Culture, Hinduism, History, Photography, Travel on November 15, 2013 by admin. Ever since I saw the first pic of Angkor Wat, I imagined visiting this Wonder of the world some day. 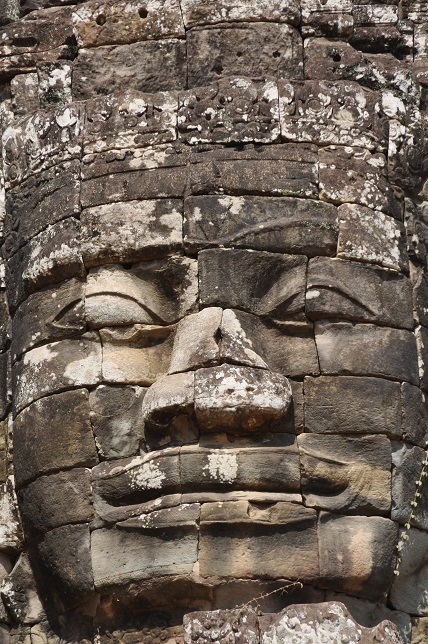 A westerner might feel like Indiana Jones here but being from India where you have such wonders at every corner, I was disappointed as far as the temples of Cambodia are concerned. It is a lost civilization, the country has thousands of other temples that are neglected. 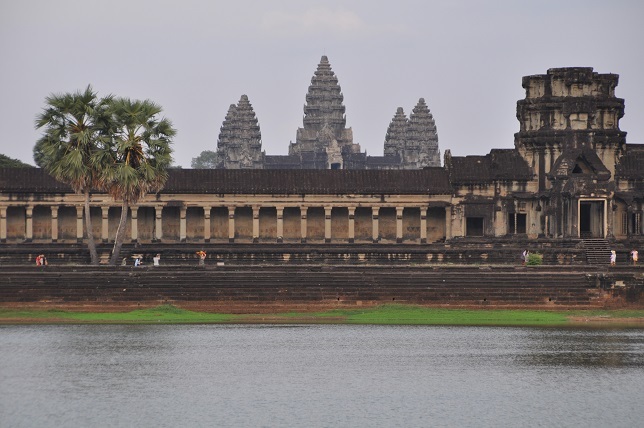 Only Angkor Wat and few others drew world’s attention in recent times. 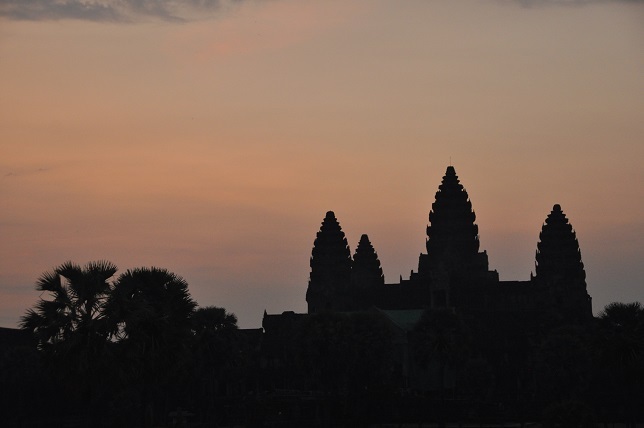 Though Cambodia is a Buddhist country, Angkor Wat and other temples originally are of Lord Vishnu or Lord Shiva that were built during Vedic period. 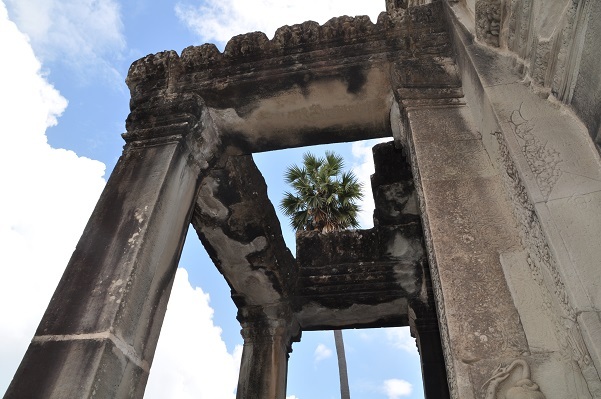 These temples are just ruins now, no elaborate worship or meditations are going on in the premises. You just notice a deity or two of Lord Buddha, mostly for tourists to offer prayers and to facilitate an experience of a different culture/religion. This entry was posted in Explore The World and tagged Angkor Wat, Architecture, Asia, Buddhism, Cambodia, Culture, Hinduism, History, Travel on November 15, 2013 by admin.